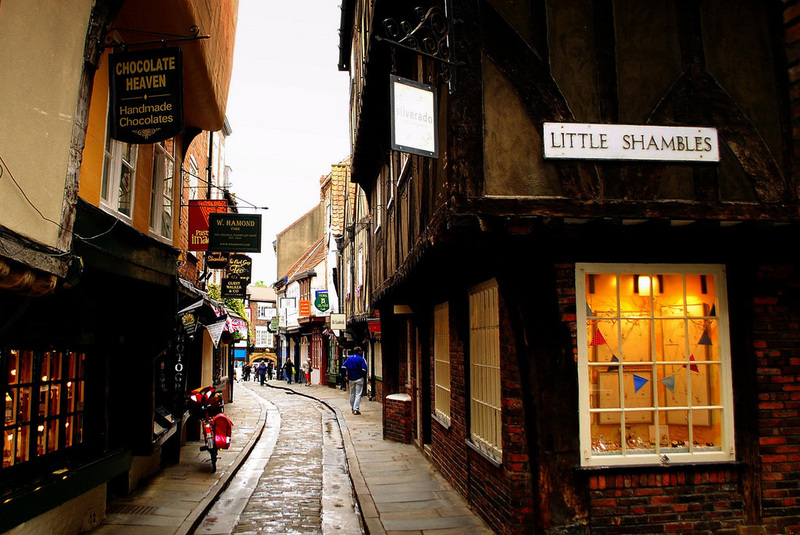 The Shambles is an old medieval street in England that’s been remarkably preserved. 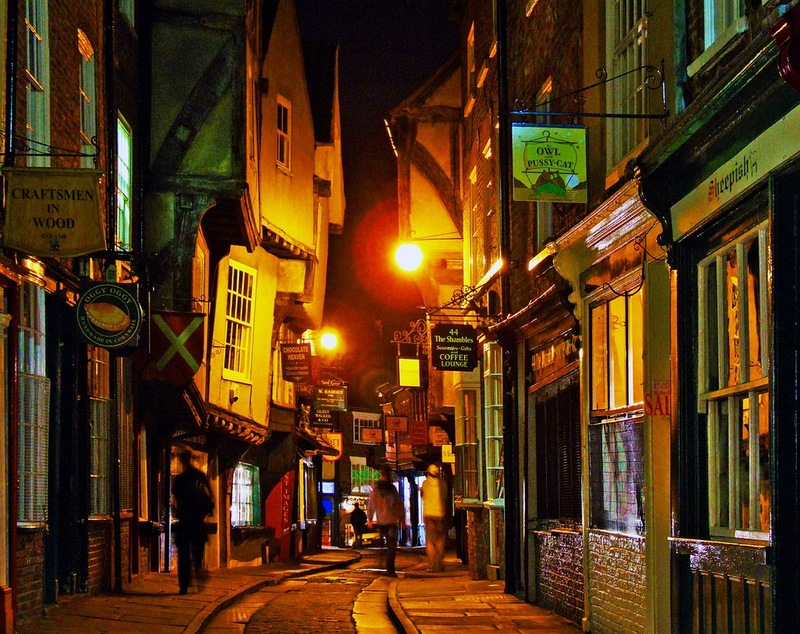 Located in the heart of the city of York, is one of England’s most fascinating destinations. 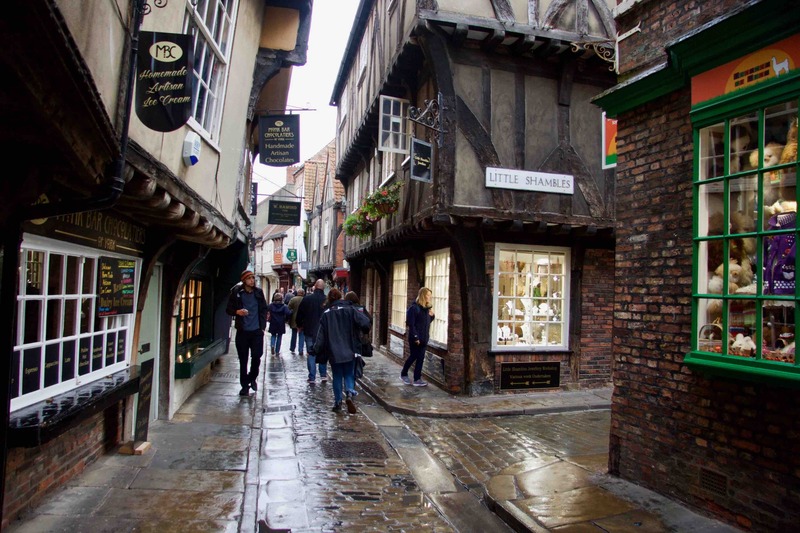 Once called The Great Flesh Shambles (or Fleshammels – literally “Flesh Shelves” in Old English), after the shelves butchers used to display their wares; this street was used as both a meat market and open air abattoir. most of the buildings date to between the 14th and 16th century and are excellent examples of Gothic and Tudor style architecture. 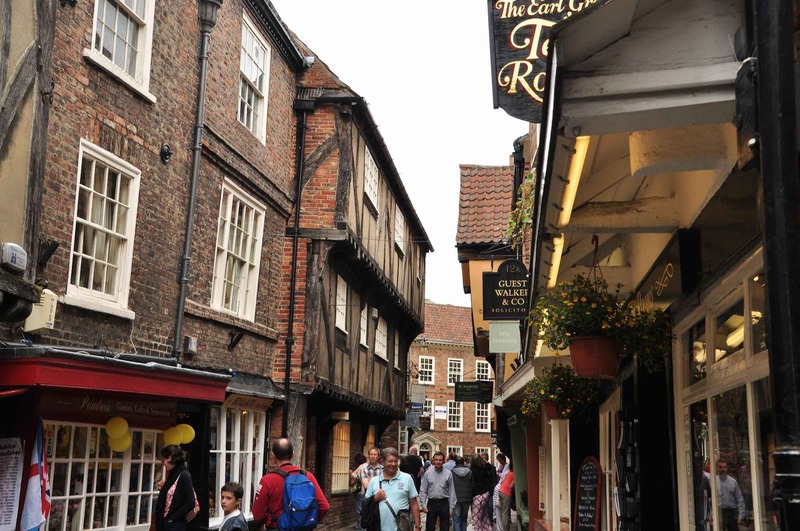 There is evidence of the area in use by butchers that predates the Norman Conquest, making this a truly ancient place to buy bacon, however, most of the buildings date to between the 14th and 16th century and are excellent examples of Gothic and Tudor style architecture. This cantilevered construction, also called jettying… gives the street an even narrower appearance as the eye travels upward and contributes to the sensation of immersion in another time. 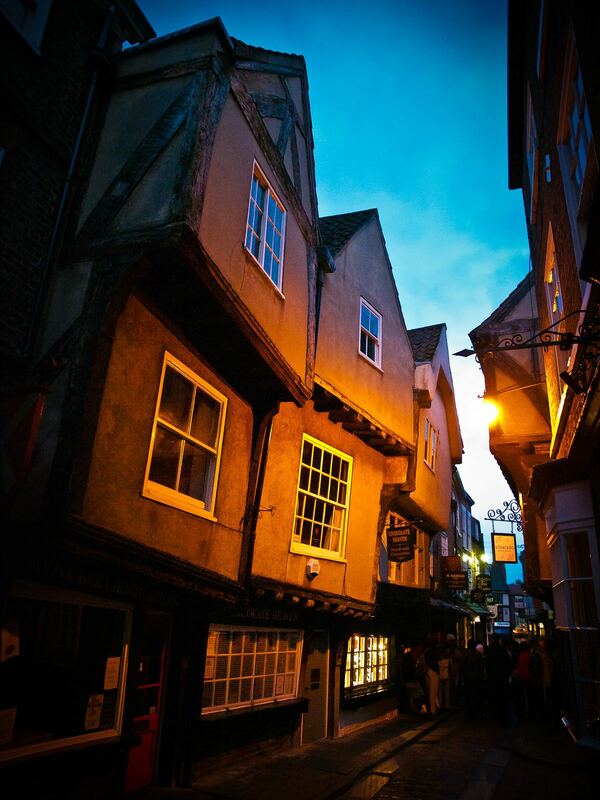 Although there are no longer any butchers operating in The Shambles, many buildings still have meat hooks hanging outside over the original display shelves. The upper floors overhang the street by several feet creating a protective overhang for the lower floors, and of course the meat! 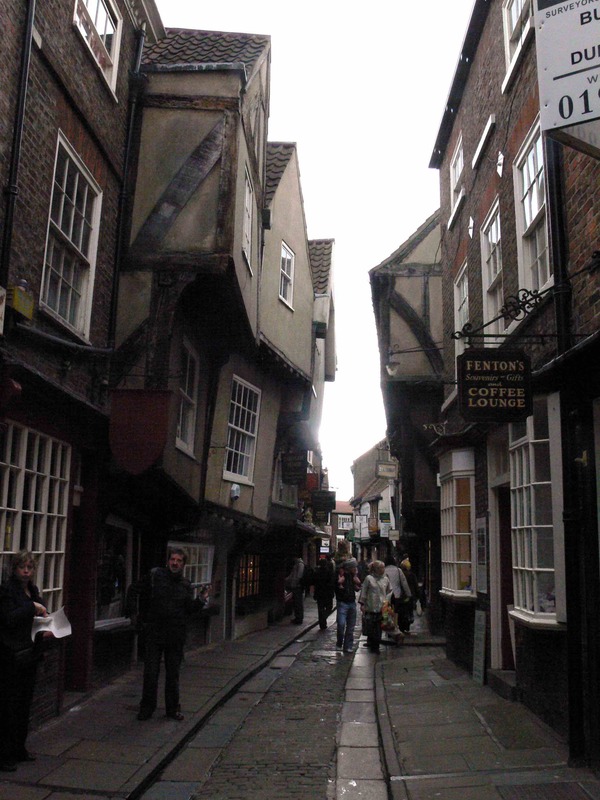 This cantilevered construction, also called jettying, increased the living quarters above the shops and was a very popular style of timber-frame construction in the medieval period. It gives the street an even narrower appearance as the eye travels upward and contributes to the sensation of immersion in another time. Even the street itself served a meat related function, and was definitely not safe for vegetarians. 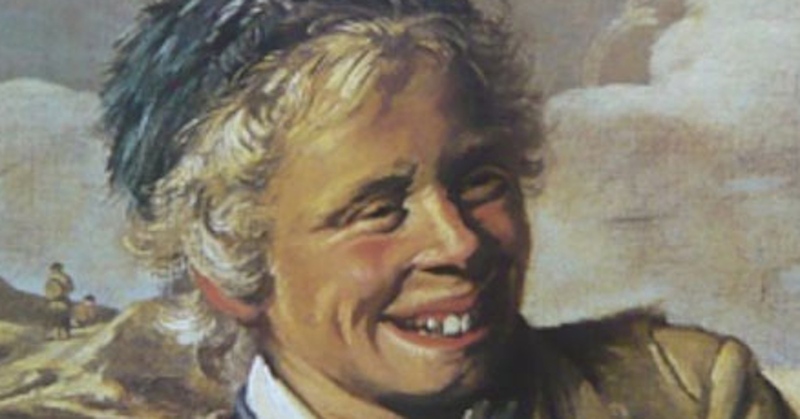 Fun fact, because of the lack of sanitation, and hygiene laws in early modern England, most of the blood, guts, and offal generated by the meat business were thrown outside. The cobbled street still features raised curbs that form the runnels that were used for a bi-weekly wash of butchering by-products with water. 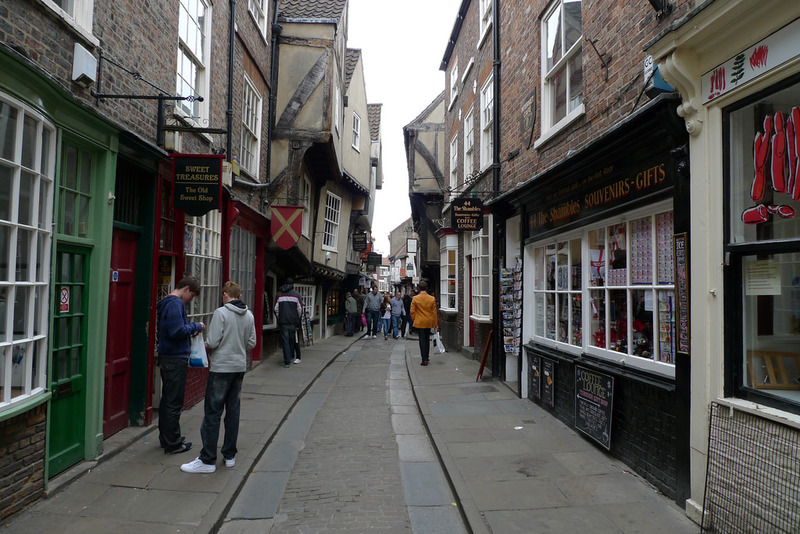 The Shambles is picturesque, and filled with lovely shops and displays, but one of its most interesting historical features is a saintly shrine. That’s right – this former butchers’ paradise boasts its very own Catholic martyr. Married to the butcher who resided at No. 10 Shambles, Margaret Clitherow, a devout Catholic in a time of persecution, made it her business to harbor Catholic clergy in in a special “priest-hole” in her fireplace. She was brought before the York assizes and executed for her crimes on Good Friday, 1586. A dramatic irony that beggars Shakespeare’s ability to construct such a scene. Sadly and despite her efforts, St. Margaret is not the patron saint of butchers or bacon. 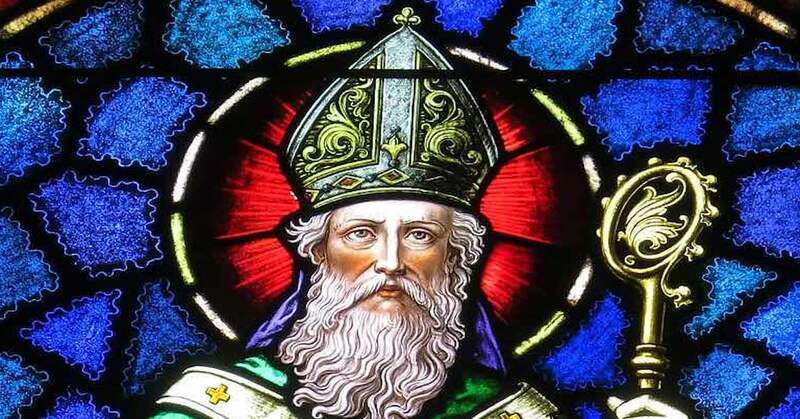 That honor goes to, among others, St. Anthony the Abbot, and that is a tale for another day.